Electronic invoicing has existed in Switzerland for more than two decades. It began with sending electronic invoices to private recipients (business-to-consumer ‘B2C’). This development was driven above all by banks and large companies. In Switzerland service providers are familiar with sending electronic invoices to B2C customers. The high acceptance levels among end consumers has been promoted, for example, by integrating electronic invoices into the online banking portals. Subsequently, electronic invoicing was extended to inter companies (business-to-business ‘B2B’) and between companies and public clients (business-to-government ‘B2G’). As a result, more than 25% of invoices in Switzerland were issued electronically in 2017 (according to the 2017 Billentis market study, page. 42 cont.). This puts Switzerland in the middle of the international rankings. The obligation to use a digital signature was mandatory until 27.09.2016. For invoice recipients however, the digital signature remains an effective – and above all secure – means of proving the integrity and authenticity of an invoice. This mitigates the risk of loss of value-added tax on input. 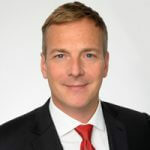 Is E-Invoicing mandatory in Switzerland? For B2B and B2C, E-Invoicing remains optional. In the B2G area, E-Invoicing has been mandatory in Switzerland since the beginning of 2016. For transactions with a contract value of more than CHF 5000, suppliers must submit invoices to the Federal Administration in electronically structured form. In addition to semi-automated options for small suppliers (e.g. PDF upload), electronic invoices can be sent fully automatically via the providers. Electronic invoices significantly reduce administrative effort by automatically reading, processing, posting and archiving the electronic invoice. 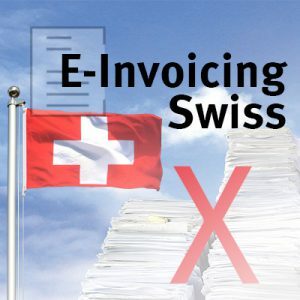 How is E-Invoicing implemented in Switzerland? The classic EDI connection for the direct exchange of electronic invoices is particularly suitable in Switzerland if many invoices are to be exchanged between a few large companies (B2B). The other option is to send electronic invoices via Swiss service providers to smaller business customers, private customers or the administrative units of the federal administration. About 70% of electronic invoices in Switzerland were exchanged via providers in 2017 (according to the 2017 Billentis market study, page. 42 cont. ), which makes this method extremely important. How can I implement E-Invoicing in Switzerland easily and safely? To make implementation easy and minimize risks, it is advisable to work with a partner who knows the requirements in Switzerland and other countries. An experienced partner can competently support you during the introduction, can bundle your increasing international E-Invoicing requirements and thus ensure standardization. The E-Invoicing requirements for Switzerland are technically complex and can cause high initial costs for in-house operation. Start by booking a cloud service which is much easier: It is immediately usable and preconfigured because then the invoice data only has be transferred in a defined interface format to a cloud provider like SEEBURGER. The SEEBURGER Cloud Service then converts and sends your outgoing invoices to your large invoice recipients (EDI procedures) or to the customers who use service providers. And of course the SEEBURGER Cloud Service also processes the feedback status (invoice acknowledgement message) back to you. Incoming invoices can also be received with the Cloud Service will be converted there to the necessary inhouse format used by your ERP system and transferred to you for booking in your ERP. With SEEBURGER Cloud Services for E-Invoicing in Switzerland – and many other countries – SEEBURGER offers you a secure, convenient, scalable and high-performance entry point with full cost transparency. We create the electronic invoice in the appropriate format (EDIFACT according to individual agreements between the business partners or EDIFACT and XML formats according to the specifications of the various providers, etc. ), sign it – if necessary – and transfer these invoices to your customers – either directly or via service providers. These cloud services are ERP system independent and include the possibility of legally compliant archiving of invoices.